With the wide spread deployment of 4G networks, news gathering and broadcast organizations are looking to make considerable savings by using LTE / 4G network links. The use of LTE / 4G network offer significant cost savings to more traditional microwave links for real-time delivery of media events to the studio. 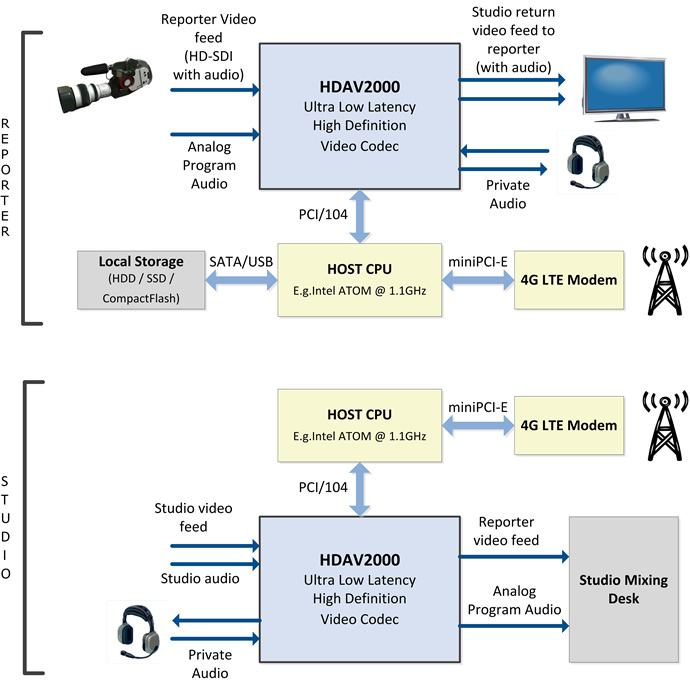 The solution below, based on the HDAV2000, provides a two-way audio-visual communications between the studio (anchor man, program director) and the outside broadcast team (reporter, camera man) in tandem with the high definition stream from the camera to the mixing console at the studio. HD-SDI / HDMI capture at 1080p30. 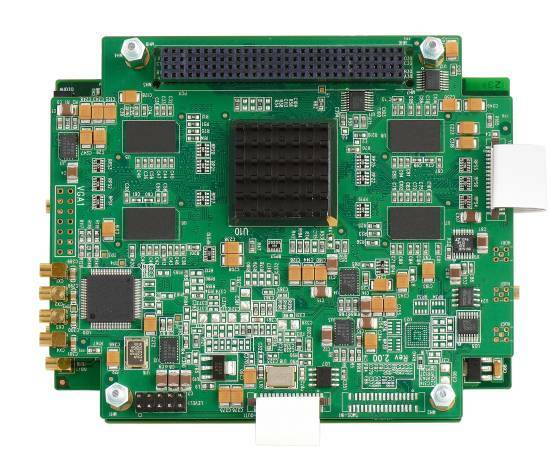 Program audio captured from either analog audio input or from audio data embedded in HD-SDI/HDMI input. Return composite video feed to allow reported in field to see studio anchor or broadcast feed. Two-way Private audio talkback channel for communication between studio and outside broadcast crew. Local storage for saving reports to be transmitted later.